Published June 27, 2015 at 386 × 500 in Carnival Night. The Ann Arbor Observer July, 2007. The Ann Arbor Observer July, 2007. 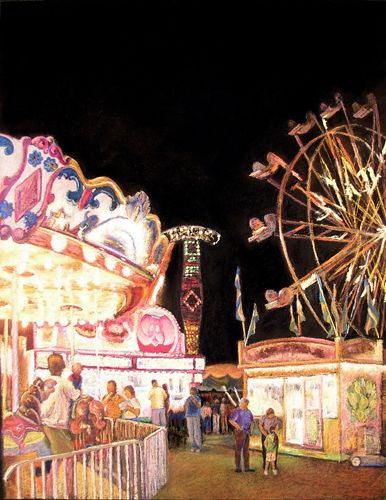 27″ x 21″ pastel painting of traveling carnival at Pioneer High School’s parking lot in Ann Arbor, MI.